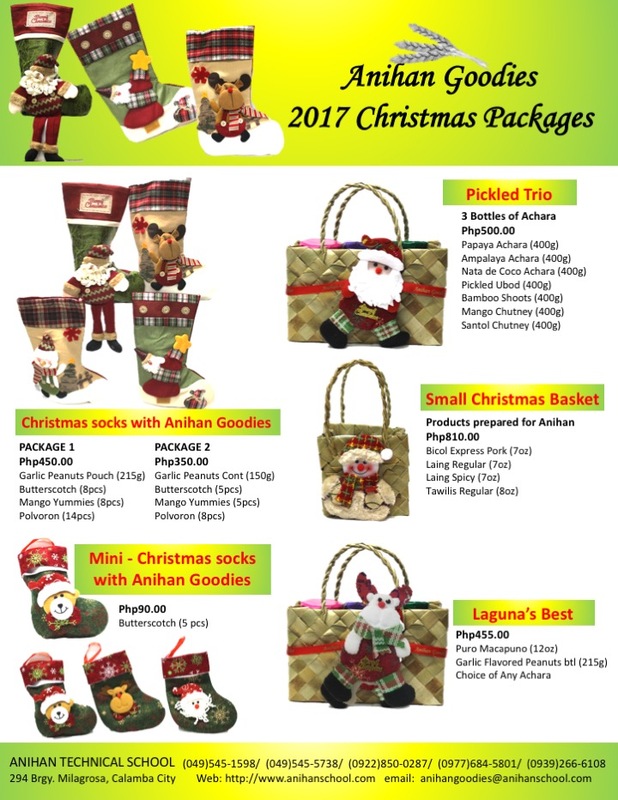 Anihan Goodies and Christmas Packages 2017 Order Form is now available. Buy Anihan Goodies for your Christmas gifts and corporate giveaways. Anihan Goodies Order Form 2017 - Page 1. 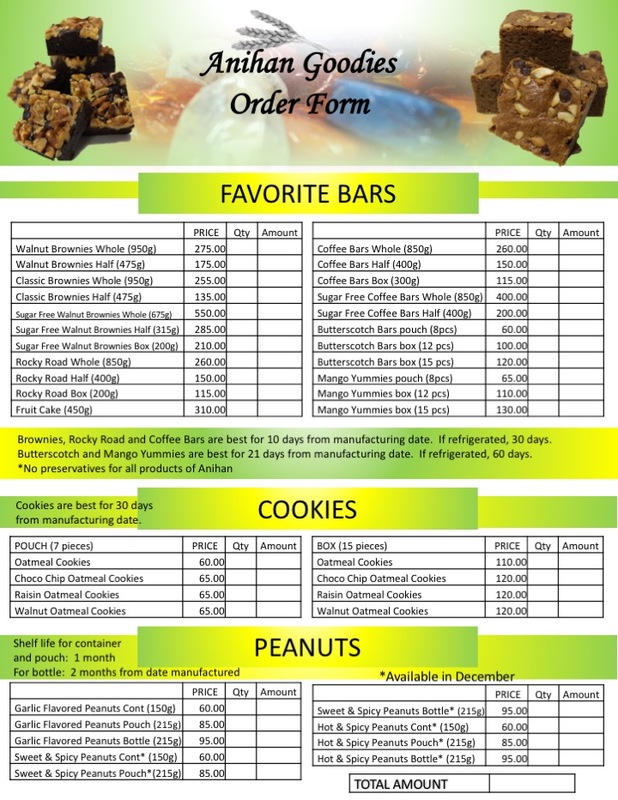 Anihan Goodies Order Form 2017 - Page 2. 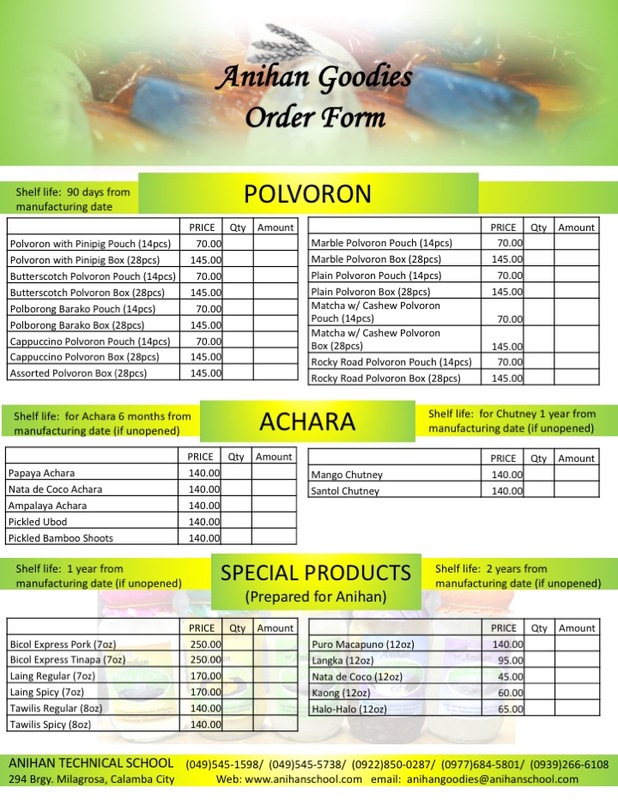 Anihan Christmas Packages 2017 - Page 1. 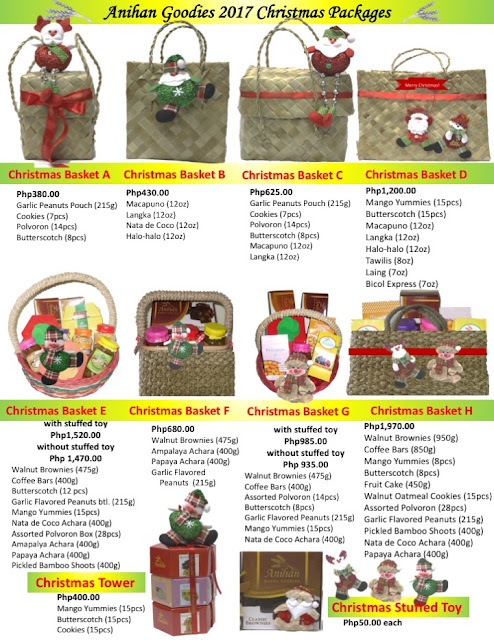 Call or email Anihan and tell us the Anihan Goodies and Christmas packages you want. See contact details below.